the LaTeX Project Team and other feedback, of the GUST Font License. license or (at your option) any later version. is part of all distributions of LaTeX version 2006/05/20 or later. 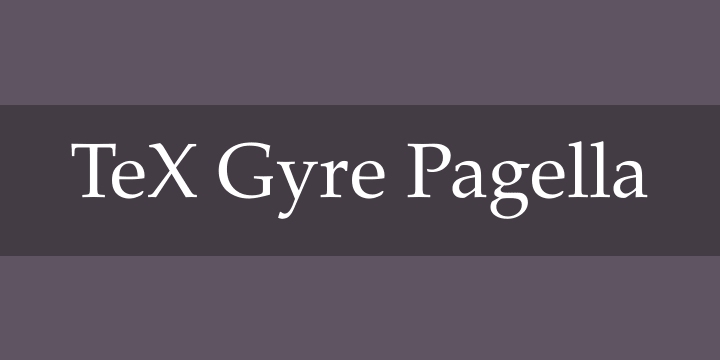 The TeX Gyre Pagella family of serif fonts is based on the URW Palladio L family distributed with Ghostscript. The original font, Palatino, was designed by Hermann Zapf in the 1940’s for the Stempel type foundry. The constituent 4 standard faces contain nearly 1250 glyphs each.